While food is one of our most powerful medicines, sometimes it needs to be supercharged by additional nutrient support in the form of supplements and vitamins. Soil depletion has made our modern vegetables less nutritious over the past few decades. In 2004, The Journal of American College of Nutrition noted that from 1950 to 1999, there was a decline in nutrient content in six nutrients (protein, riboflavin, vitamin C, iron, calcium, and phosphorus) most likely explained by a “trade-off between yield and nutrient content.” It can also be argued that the increase in food-like substances has further depleted the nutritional content of the American diet. Opting for sugary breakfast cereal over farm fresh eggs and vegetables has really tipped the scales towards a state of functional malnutrition. Supplements for acne, therefore, have a place - especially in combination with a whole-foods based diet. Acne is known to respond to diets and the foods that are eaten. Here are some commonly used supplements and vitamins for patients with acne from a naturopathic approach. Essential fatty acid supplements can be taken in the form of omega-3s (fish oil), gamma-linolenic acids (evening primrose oil), black currant oil, or borage oil. After 10 weeks of supplementation, both fish oil and gamma-linolenic acid can reduce acne lesions. Vitamin D has a big impact on immune health. Deficiencies have been correlated with other skin conditions like rosacea and psoriasis; however, a couple of small studies suggest that it could also help with acne. 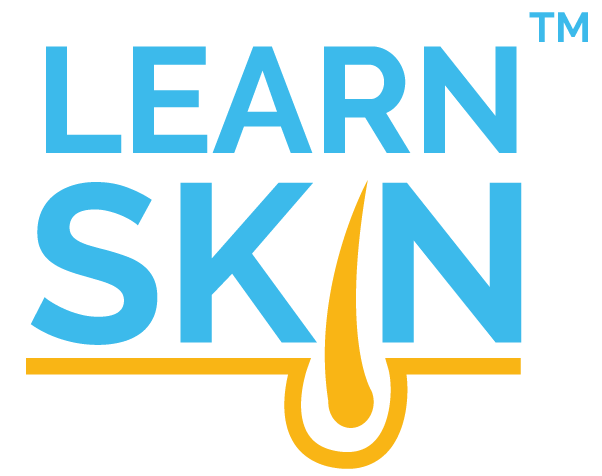 In 2016, about 49% of a group of patients with acne were found to have a vitamin D deficiency. In contrast, only about 23% of those without acne had low levels of vitamin D. In later trials, the study found that one group of acne lesions (inflammatory lesions but not comedones) improved with vitamin D supplementation with vitamin D3 (cholecalciferol). Still, researchers have been able to show that vitamin D and vitamin A are able to mediate the body’s immune response, helping to blunt the production of interleukin-17 (an inflammatory signal) from immune cells that were exposed to P. acnes, the bacterium implicated in acne formation. Vitamin D supplementation is best started after reviewing your lab results. You want to be at least in the normal range (normally understood to be above 30 ng/mL). Ideally, this level should be between 50-80 ng/mL. Vitamin A has been used for a long time in acne treatment and its derivatives are found in retinoids as well as isotretinoin (previously known by the brand name Accutane). In particular, isotretinoin carries some serious side effects requiring female patients to be on two forms of birth control, as isotretinoin can cause severe birth defects. Liver function and blood lipids are also important to monitor through the course of treatment with isotretinoin. If that sounds really intense, considering vitamin A in the form of a supplement can be another starting point. Vitamin A in high doses may help acne by decreasing sebum production and also preventing dead skin cells from sloughing off and clogging pores. Please discuss this with your physician or qualified health provider to see if vitamin A supplementation is right for you. Active pre-formed vitamin A, as retinol, is well absorbed and usable by the body. However, this is a place where physician supervision is crucial. Vitamin A, in this form, carries the risk of toxicity in high doses and should only be used under the guidance of a health-care practitioner. Also, it should never be combined with other vitamin A treatments (topical or internal). However, adding in vitamin A rich foods one to two times a week can boost vitamin A levels and support healthier skin. One source is beef liver in the form of a supplemental powder or capsule. It is nutrient dense and usually much easier to consume than preparing it fresh. We are coming to learn that zinc plays an important role in skin health, in part through its ability to help release active vitamin A from the liver, and also by exerting an anti-inflammatory effect on the skin in those with acne. Studies have correlated lower levels of zinc with more severe acne, and small trials have shown that acne improves with zinc supplementation. Therefore, acne may be a clue to a zinc deficiency. In addition, strict vegetarians are encouraged to be mindful of zinc deficiencies because while whole grains, nuts, and seeds may be sources of zinc, phytic acid in these foods can block absorption. It is also worth looking at your medications to see if any may be contributing to a zinc deficiency. Tetracycline and quinolone antibiotics may reduce zinc absorption,[10-12] although newer tetracyclines like doxycycline may not have the same effect. Also, anticonvulsants may affect how the body’s cells can use zinc, and diuretics may increase zinc loss. If you choose to supplement with zinc, you have to be careful in order to avoid a copper deficiency. Using zinc in the long term (or any dose over 40 mg/day) warrants supervision. You should also be supplementing with copper, as you want to keep a balance between these two minerals. 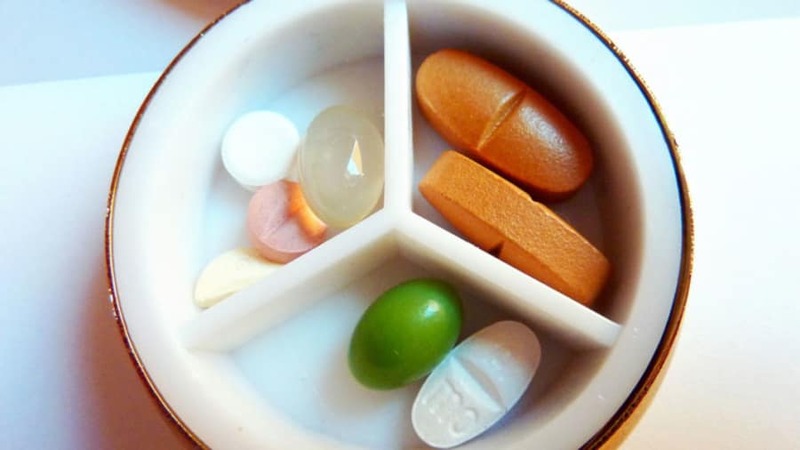 Ideally, supplements for acne are part of a comprehensive plan. They cannot mitigate the effects of a poor diet or lifestyle. They can, however, be the seasoning that brings a dish to life. In other words, they are the extra "oomph" your body needs to regain balance, health, and improve acne affected skin. Davis DR, Epp MD, Riordan HD. Changes in USDA food composition data for 43 garden crops, 1950 to 1999. J Am Coll Nutr.2004;23(6):669-682; PMID: 15637215. Lim SK, Ha JM, Lee YH, et al. Comparison of Vitamin D Levels in Patients with and without Acne: A Case-Control Study Combined with a Randomized Controlled Trial. PLoS One.2016;11(8):e0161162; PMID: 27560161. Agak GW, Qin M, Nobe J, et al. Propionibacterium acnes Induces an IL-17 Response in Acne Vulgaris that Is Regulated by Vitamin A and Vitamin D. J Invest Dermatol.2014;134(2):366-373; PMID: 23924903. Kligman AM, Leyden JJ, Mills O. Oral Vitamin A (Retinol) in Acne Vulgaris. In: Orfanos CE, Braun-Falco O, Farber EM, et al., eds. Retinoids: Advances in Basic Research and Therapy;10.1007/978-3-642-68023-6_31. Berlin, Heidelberg: Springer Berlin Heidelberg; 1981:245-253. Verma KC, Saini AS, Dhamija SK. Oral zinc sulphate therapy in acne vulgaris: a double-blind trial. Acta Derm Venereol.1980;60(4):337-340; PMID: 6163281. Torre M, Rodriguez AR, Saura-Calixto F. Effects of dietary fiber and phytic acid on mineral availability. Crit Rev Food Sci Nutr.1991;30(1):1-22; PMID: 1657026. Weismann K, Knudsen L, Hoyer H. Effects of tetracycline on the absorption of 65zinc in rats. Arch Dermatol Res.1978;263(2):135-138; PMID: 104665. Lomaestro BM, Bailie GR. Absorption interactions with fluoroquinolones. 1995 update. Drug Saf.1995;12(5):314-333; PMID: 7669261. Penttila O, Hurme H, Neuvonen PJ. Effect of zinc sulphate on the absorption of tetracycline and doxycycline in man. Eur J Clin Pharmacol.1975;9(2-3):131-134; PMID: 786686. Yuen WC, Whiteoak R, Thompson RP. Zinc concentrations in leucocytes of patients receiving antiepileptic drugs. J Clin Pathol.1988;41(5):553-555; PMID: 3133399. Berne Y, Carias D, Cioccia AM, et al. Effect of the diuretic furosemide on urinary essential nutrient loss and on body stores in growing rats. Arch Latinoam Nutr.2005;55(2):154-160; PMID: 16335225. Willis MS, Monaghan SA, Miller ML, et al. Zinc-induced copper deficiency: a report of three cases initially recognized on bone marrow examination. Am J Clin Pathol.2005;123(1):125-131; PMID: 15762288.